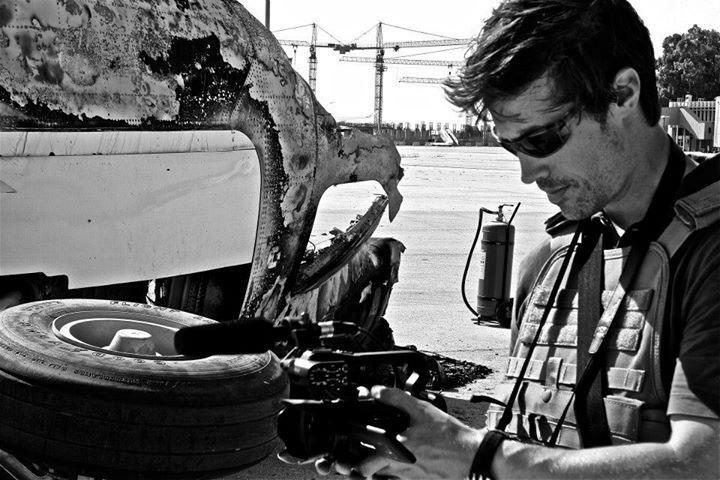 James Foley was drawn to the front line. Even after being captured in Libya in 2011, where he was held for more than 40 days, Foley returned to war zones. He believed so strongly in the work he was doing and in the stories he was telling that he did not let his capture deter him. Foley (Medill ‘08) was executed by ISIS in a graphic video that was posted on YouTube on Tuesday. The authenticity of the video was verified by the National Security Council on Wednesday. As of Tuesday, he had been missing for 636 days, according to FreeJamesFoley.org. Foley earned his master’s degree in journalism at NU, after which he worked as a freelance journalist in Libya and Syria, where he reported for the GlobalPost and Agence France-Presse. During his time in the Medill Washington program, Foley reported on national security, among other topics. Even then, he knew what he wanted to do and took steps necessary to pursue his goals, Shearer said. In Washington, Foley lived with three other roommates, one of whom was Alex Sherman (Medill ‘08). Sherman described him as a good guy who was soft spoken. Sherman said he stayed in contact with Foley after they graduated from Medill and would communicate over Gchat while Foley was in the Middle East. When Sherman found out about Foley’s death, he said he was filled with frustration and sadness. Foley spoke publicly at Medill on June 2, 2011, only 15 days after his release from captivity in Libya. The video of his talk has been widely shared since his death. Medill Prof. Timothy McNulty served as the moderator during the event. “Even though it may have been too soon for Jim Foley to be talking about it, it shows that desire that journalists have to share information and to share the kind of understanding of dangers of reporting in some areas of the world,” McNulty said. McNulty said Foley’s passion for reporting from war zones went beyond the military news. He said it lied in telling the stories of “normal people” whose lives were impacted by conflict. Foley also Skyped with a global journalism class taught by Medill Prof. Loren Ghiglione on Nov. 6, 2012, less than three weeks before Foley was captured in Syria. Along with his commitment to journalism and the courage he showed in reporting, Foley exhibited qualities of compassion and support, Ghiglione said. Prior to Foley’s capture in Libya, one of Foley’s colleagues, Anton Hammerl, was killed by a gunshot. Foley helped organize a fundraiser for Hammerl’s children’s education. Throughout Foley’s time in captivity, Medill made efforts to support the Free James Foley campaign, which Foley’s parents started in 2013 after he went missing. The school distributed “Free James Foley” buttons. Although Foley was aware of the danger he faced in his career, Shearer said his focus and drive to tell stories about the impact of the war drove him again and again to the front line.